This model is easy to carry and will keep your gear dry on caving or canyoneering trips. With the SealLine Black Canyon Boundary on your back, you are ready for adventure. It's a significant upgrade from the classic roll-top cylindrical bag; it consists of super thick material, a well-padded removable backpacking harness, and a robust lip with a proprietary DrySeal design, making it a formidable opponent. In fact, it just narrowly missed earning an award of its own and is the perfect choice for canyoneers. The main drawback to this product is its not 100% air and watertight and allowed a tiny amount of bubbles to escape during our most rigorous testing. Its backpack feature makes it incredibly convenient when portaging your raft, but it's not comfortable enough to serve as a proper backpacking pack. If you need to keep your gear absolutely dry, our Editors' Choice, the Watershed Colorado Duffel is the perfect all-around bag. For another model that can be carried like a backpack, albeit slightly less ergonomically, but is also wholly watertight, try the YETI Panga 50. The SealLine Black Canyon Boundary is 10-inches wide, 14.5-inches long, 20-inches tall and has a total volume of 35-liters. The body of the bag is made out of 300D TPU-coated nylon and has an extra thick bottom made of 400D TPU-coated nylon. It features a removable backpack harness with padded chest straps and a nylon waist belt. This model is extremely waterproof and sports a comfortable backpack frame. The Black Canyon Boundary put forth an impressive performance in this metric and was one of the top scoring products. No water was inside the bag after any of the testing. When it was held underwater for greater than 30-seconds, a few small bubbles escaped which kept it from receiving a perfect score. Only a few teeny tiny bubbles escaped when it was held underwater. Without a specially designed vent, like the one on the Sea to Summit eVent Compression that allows air to escape but prevents water from getting back in, the air escaping the Black Canyon Boundary denotes an incomplete seal. While none of our gear got wet during testing, this made us slightly more wearing of using it with fragile hydrophobic equipment compared to the Watershed Colorado Duffel. Our gear was 100% dry after all of our testing. This model holds its shape on its own, making it easy to pack. The backpack straps make it comfortable to carry especially with lighter loads. The webbing waist belt on this model is unpadded and therefore quite abrasive when hiking with weight on your hips. If you're headed out on a backpacking trip, smaller dry bags inside your main pack, the like Sea to Summit eVent Compression for your sleeping bag and the Osprey Ultralight Drysack for your clothes, will help keep your gear dry, but let a true backpacking pack provide better support for your body. The Black Canyon Boundary offers two unique features. The first is the DrySeal roll-top closure system. The lip of the bag is reinforced with two independent strips of thick material that assists in creating a tight seal. This feature is unique to the Black Canyon Boundary and gave it the best waterproof seal of any of the all-around roll-top products we tested. Without the harness, its a great for river trips, with the harness its perfect for canyoneering. The second remarkable feature of the Black Canyon Boundary is the removable backpack harness made up of adjustable padded shoulder straps, a sternum strap, and a webbing waist belt. The top part of the backpack harness, which includes the shoulder straps, is easy to remove and to reattach. The waist belt is meant to be left in place, and there are small exterior pockets to stuff it into when it is not in use. It can be removed, but its slow and re-attaching it is even slower. The Sea to Summit Hydraulic also features a removable backpack harness, but it is easier to completely remove and has a more comfortable frame. The backpack straps won't pop off accidentally, but they are a bit of a pain to remove and reattach. The model is intended to be worn on your back so its lacking significant lash points with only a single plastic D-ring at the roll-top. The Watershed Colorado Duffel, on the other hand, has six beefy D-rings that allow you to better secure it for whitewater river trips. This metric is another area where the Black Canyon Boundary shined. It is made of super durable material and has an extra thick bottom, so you don't have to think twice about where you set it down. The D-ring is made of a standard plastic with modest durability, but it is attached to webbing which improves its durability compared to plastic on plastic models. Every aspect of this model is durable, from the backpack harness to the body of the bag. Unless you expect to get seriously drenched while wearing a backpack, a less durable model inside a true backpacking pack will serve to protect your more sensitive gear. The Sea to Summit eVent Compression is a lightweight addition to your kit and will keep your sleeping bag dry and cozy. If durability is your key concern and you want to be able to carry it like a backpack but don't plan to hike with it on your back, the YETI Panga can't be beaten. The Black Canyon Boundary is the perfect pack for canyoneering or caving when you expect to get drenched. From the nose of a paddle board to your back and shoulders, this model is highly versatile. 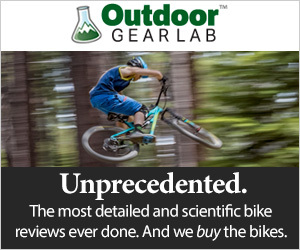 At $114.95, its one of the more expensive products we tested. While its durability and waterproofness are both reflected in its price, the Watershed Colorado Duffel offers comparable attributes at a similar price point but is 100% waterproof and better suited for a wider variety of uses. The SealLine Black Canyon Boundary is a highly durable and extremely waterproof backpack. While it may not be ideal for more typical activities requiring a dry bag, if you need a backpack that can sustain serious exposure to the elements, this is a great product. MooseJaw $91.99 - 20% off!